Republicans in Congress don’t want President Donald Trump to implement new tariffs on aluminium and steel. They can stop him from doing so, but they’re not. And they likely won’t do anything, not wanting to set up a fight with Trump. While we’re all talking about “Trump’s” tariff plan, I wrote on Monday that tariffs are fundamentally up to Congress. The Constitution gives Congress the power to levy tariffs. The president only has any power to impose tariffs because Congress wrote laws giving him that power, and they can write new laws to constrain the power. 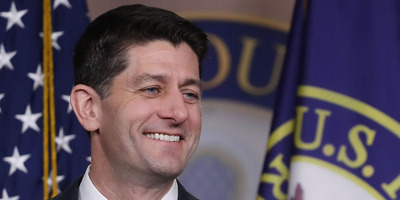 So, if House Speaker Paul Ryan and Sen. John Cornyn and Rep. Kevin Brady and Sen. Ben Sasse and the dozens of other Republicans who say they’re upset at President Donald Trump’s plans to impose tariffs on steel and aluminium are serious, they can and should pass legislation to take away his tariff-setting powers. But they’re not doing that. Instead, they’re asking the president to reconsider. Nicely. They are hopeful Trump will agree to narrow the scope of the tariffs to the point of near meaninglessness – exempt various kinds of steel and aluminium products, exempt allied countries (who happen to sell us the vast majority of the steel we buy from abroad) and basically turn the tariff into a piece of paper the president can sign to look “tough” without materially changing the economy. 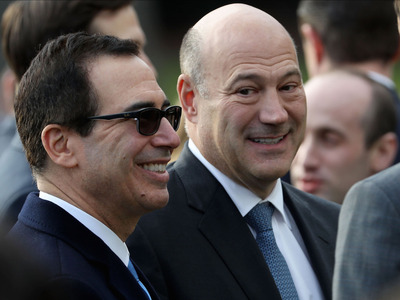 Well, if Trump were willing to back down like that, do you think Gary Cohn would have resigned as the head of the National Economic Council? Trump wants tariffs. He’s wanted them for decades. In 1999, when Trump briefly ran for the Reform Party nomination for president, his platform looked a lot different from his recent positions. He wanted an assault-weapons ban. A wealth tax. Universal healthcare funded by higher corporate taxes. Legal abortion. But he was still a protectionist. If Republicans want to stop Trump from doing this tariff nonsense, persuasion isn’t going to work. They will need to pass a law. Most Republicans in Congress are on the record as free-traders. But how many are willing to stand up to Trump on the issue, and then go home to face a local Republican electorate that is split on the issue? Plus, while many Democrats will be eager to vote for legislation that annoys Trump and reduces his power, some – particularly, those from steel-producing areas – will stand with Trump because they agree on the underlying policy. So, it’s likely they would fail to get the two-thirds majority they would need to pass a law that restricts Trump’s tariff power. And even if they managed to override Trump’s veto, who knows what the fight would do to Republican voter morale, or how Trump would seek to retaliate against Republicans who overrode him – hardly an ideal situation when heading into an election where Republicans are already worried about motivating their base. Suppose Republicans in Congress stand by and do nothing as Trump slaps these tariffs on aluminium and steel. Are they going to go out on the campaign trail and defend his choice? I am under no illusion that trade is a top issue for most voters. But Democratic attacks on the tariffs won’t be about trade as such. The attacks will be that Trump’s reckless, go-it-alone tariff policy is driving up prices – adding a few cents onto a six-pack of beer or a couple hundred dollars onto the cost of a new car – and costing jobs, by discouraging companies from opening factories to make things out of steel and aluminium in the US. Ouch – Donald Trump and Republicans, encouraging manufacturing companies to ship jobs overseas with their America-Last tariff policy. Sad! Republicans will be in a tough position to argue against these attacks, since they have already admitted the policy is a mistake. And though they’d like to talk about the tax cut they passed, Democrats will say any benefits of the tax cut are getting eaten up by the tariffs – which, inconveniently, also happens to be a thing Republicans have been saying. Fighting the tariffs and acquiescing to them are both terrible options, which is why Republicans so desperately wish Trump would listen to them and change his mind. They shouldn’t bet on it. Trump will make them pick their poison.